Posted by Barry Templeton on Wednesday, September 3, 2014 in News, Related News. Robots simulating radiation damage (left) and normal function (right). 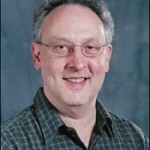 Eric Barth, associate professor of mechanical engineering with Vanderbilt’sLaboratory for the Design and Control of Energetic Systems, and his team are working on simulations to provide impedance control for robots exposed to radiation. They’re also discovering ways to get reliable information out of the robots without recalibrating. Gabor Karsai, VU professor of electrical engineering and senior research scientist at the university’sInstitute for Software-Integrated Systems, and his team are working on failure modeling language for robots exposed to radiation. Among other things, it allows robots to sense whether they’re able to complete the assigned tasks with the level of degradation they’re experiencing. 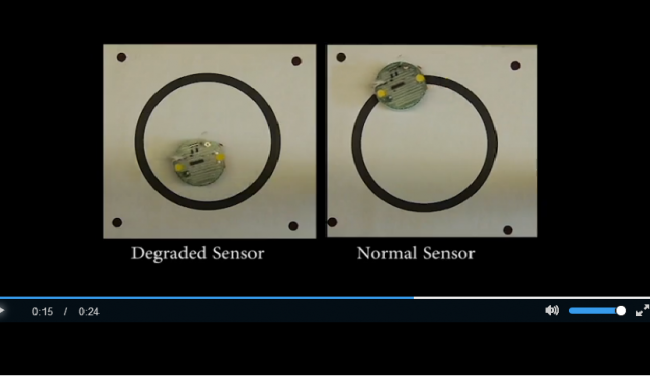 Watch robots simulating degradation from radiation vs. normal function. The teams’ three-year program is funded by the U.S. Defense Threat Reduction Agency. Other researchers recognized in the award are Zachary Diggins, Nagabushan Mahadevan, E. Bryan Pitt, Daniel Herbison, Ronald Schrimpf, Robert Reed, Robert Weller and Brian Sierowski. They will accept it at the March 2015 GOMACTech conference in St. Louis.